St. Michaels, MD— Chesapeake Music of Easton, Maryland and the Inn at Perry Cabin by Belmond are thrilled to welcome the acclaimed Harlem Quartet to St. Michaels, Maryland for an exclusive performance on April 1 at 5:30 p.m. Praised for its “panache” by The New York Times and for “bringing a new attitude to classical music” by The Cincinnati Enquirer, the Harlem Quartet is one of today’s hottest musical ensembles. 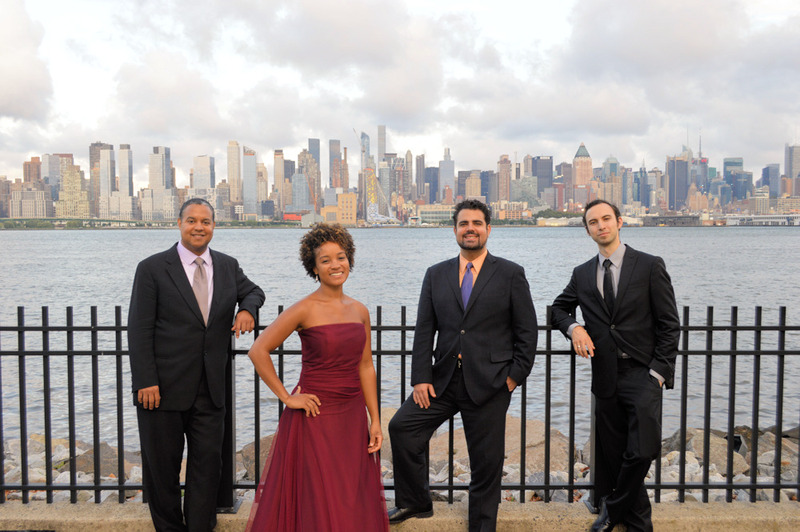 The Harlem Quartet was the Silver Medal prize winner at the 2010 Chesapeake Chamber Music (CCM) Competition, one of the nation’s most prestigious chamber music competitions with one of the world’s largest chamber music prizes. Since their debut in 2006, the New York-based foursome has performed in chamber music series around the world and collaborated with the likes of Itzhak Perlman and jazz legend Chuck Corea, to name only two of many. In fact, it was the Harlem Quartet’s album made with Corea and Gary Burton, “Mozart Goes Dancing,” that won them the Grammy for Best Instrumental Composition in 2013. They have been featured on CNN, NBC’s Today Show and News Hour with Jim Lehrer, and in 2009 performed for President and First Lady Obama at the White House. Violinists Ilmar Gavilán and Melissa White, violist Jaime Amador and cellist Felix Umansky each are seasoned artists in their own right. Individually, they have performed with such orchestras as the New York Philharmonic, the Boston Pops, and the Atlanta, Baltimore, Cleveland, Detroit, Julliard, National, New World, Pittsburgh, Puerto Rico and Utah symphony orchestras. Not only exceptionally talented and musically versatile, the Harlem Quartet also is civic minded. Its mission is to advance diversity in classical music while engaging new audiences with varied repertoire that includes works by minority composers. The group will soon launch its fourth album—a collaboration with the Chicago Sinfonietta featuring a new arrangement of Leonard Bernstein’s iconic musical, West Side Story. 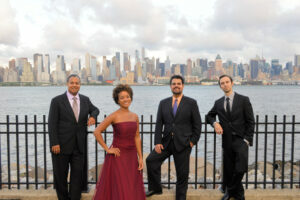 Tickets for the Harlem Quartet’s performance at Inn at Perry Cabin are limited and available on (443) 258-2230. $85 buys entry for one to the performance as well as admission to a pre-performance cocktail reception. Dinner and beverage specials will be tailored to the evening in both Stars restaurant and Purser’s Pub. Reservations are recommended for Stars and available at (410) 745-2200 and www.opentable.com/stars. Pictured (left to right) are violinist Ilmar Gavilán, violinist Melissa White, violist Jaime Amador and cellist Felix Umansky. Photo by Amy Schroeder.